The cornerstone of the work we do at Voyage Partners Financial Strategies is our retirement income planning strategy called Bucket Bliss™. The Bucket Bliss Strategy™ helps us give you objective, non-emotional investment advice, and also provides your portfolio with just the right balance of risk and reward. This ensures that you not only understand your investment portfolio, but perhaps more importantly, you are comfortable with the investment selection of your retirement income plan. 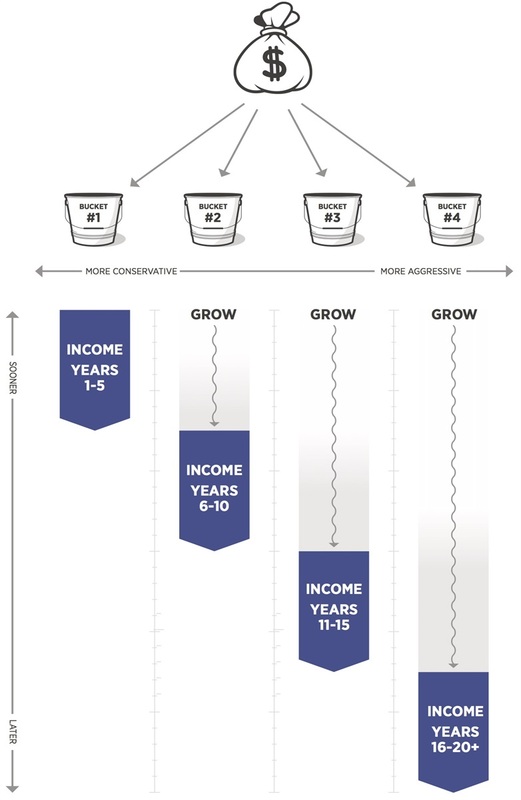 The fundamentals of The Bucket Bliss Strategy have their roots in the professional white paper that was written by Dr. Phillip R. Swensen, PhD. Dr. Swensen taught corporate finance and investments for nearly 40 years at both the undergraduate and graduate levels. He authored numerous books, professional articles, and white papers on retirement income planning. Click here to read his white paper, A Strategy That Simply Makes Sense, by Philip R. Swensen, PhD. Click below to watch a 2 minute video that illustrates how the strategy works.